Tybee Island general contractor American Craftsman Renovations provides the best bathroom remodeling services and renovations to homeowners in historic Tybee Island. 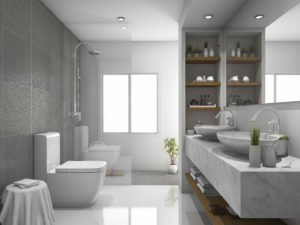 We can help bring your vision for your bathroom to life. From smaller renovations with minor enhancements such as new tile to gutting your bathroom and recreating your space, we can help you accomplish your bathroom remodeling goals. Let us help you create the spa like retreat that you have always wanted. Creating a functional and inviting space can help you relax at the end of a long day and enjoy getting ready each morning. We all use our bathrooms each and every day so create a space that you truly love using. We will work with you one on one throughout the entire process to ensure your needs and wants are identified so that our final project accomplishes those goals.